How do I create a booking and add invoices to it? You can create a booking 2 different ways. First, by going to the "Datebook" section and second, by beginning an invoice. 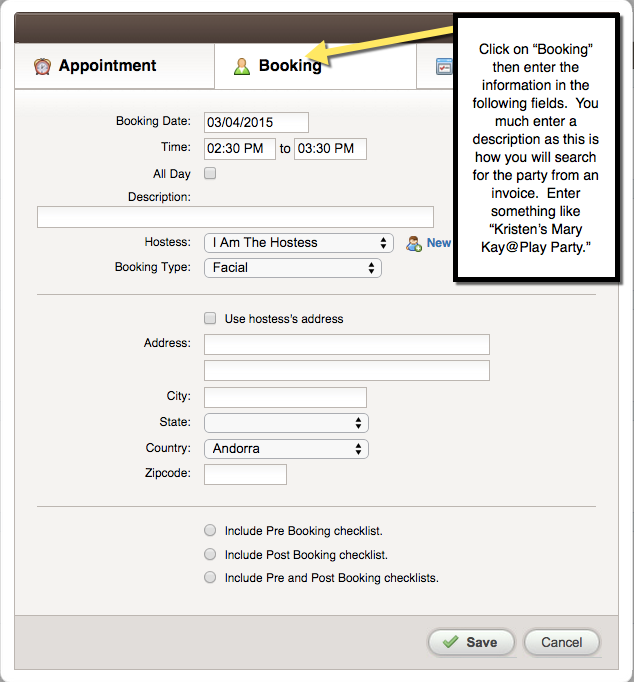 First let's take a look at creating a booking from the "Datebook." Click on the "Datebook" tab. Now your booking is created. 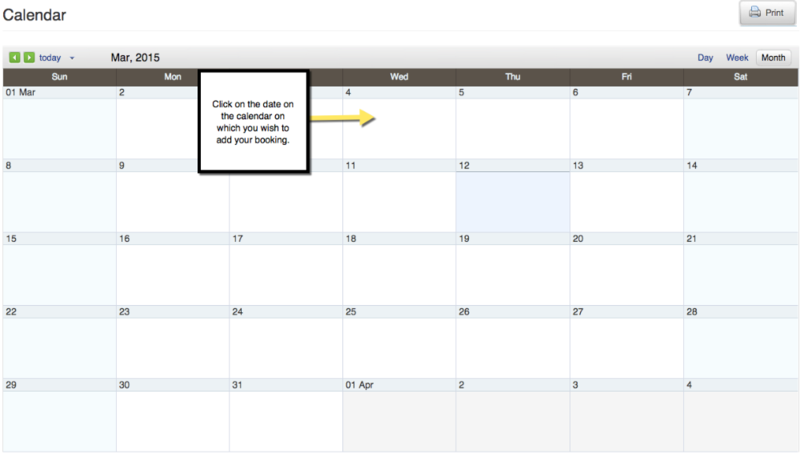 You can view it and it's details by clicking on "Bookings" from the "Datebook" tab. Begin typing the name of the event. For this example I chose "Kristen's Mary Kay @ Play party." When you see the correct party on the list click on it, then click save to begin creating the invoice. Now click on "Add New Booking." Complete the information necessary for the booking, be careful to enter the correct date and description. Then click "Save."